You read the title correctly black bean brownies; and yes, they are made with the black beans in a can that you usually eat with your Mexican food. Sounds really gross and weird, huh? Well, they are great! Who knew? I certainly would have never imagined that I would eat them, but I did and they are good. I think they would be great topped with a big ol' scoop of ice cream. The way I figure, all the fiber and protein in the brownie would cancel out the fat in the ice cream. Right?! 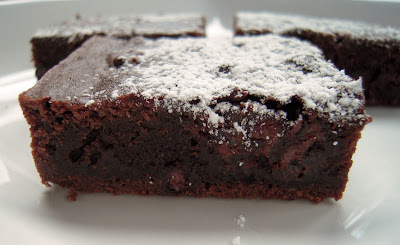 I found the recipe over on skinnytaste.com The brownies only have two ingredients - black beans and brownie mix. I had them both in the pantry, so I gave it a shot. Talk about easy! Go ahead and give them a try - I promise you will never know that they are made with black beans. Open can of beans, drain and rinse well. Put beans back in the can and fill can with water. Put beans and water in blender until smooth. 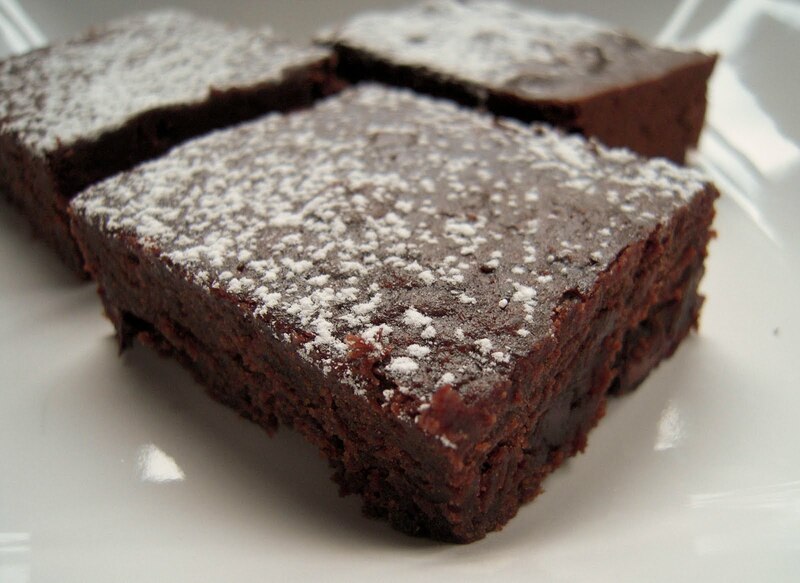 Mix pureed beans with brownie package mix. DO NOT add eggs or oil. Spray baking dish with Pam. Cook brownies according to package directions. Cool and serve. Interesting recipe. A very good way to get that fibre in the diet too! Thanks for your comment on my blog! You have some great recipes here! Visiting from Alabama Bloggers . . . You sure are a brave soul for trying that recipe. I love brownies but I dont think I could make black bean brownies! 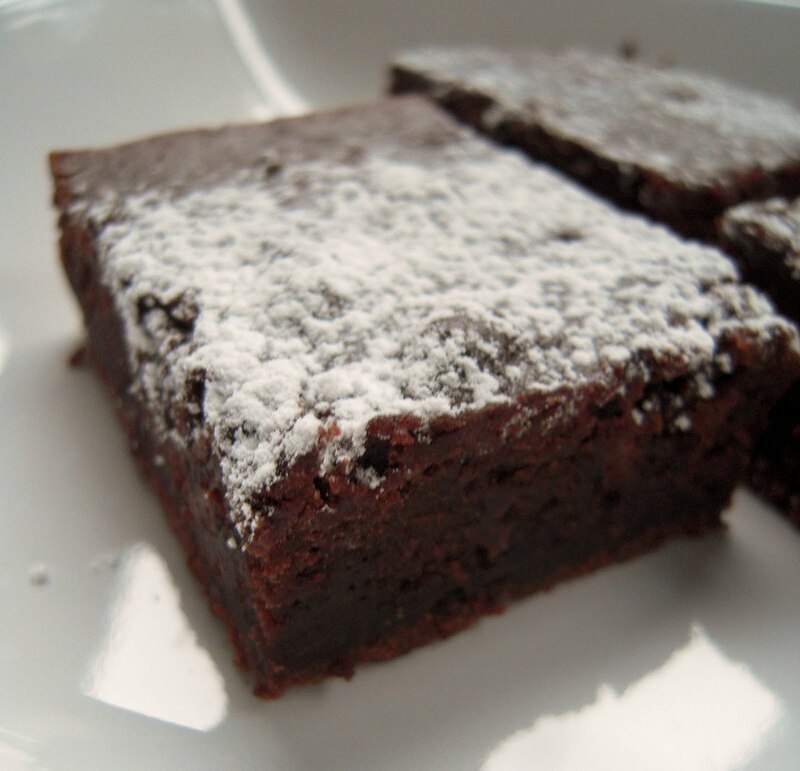 Black bean brownies rock! I made them for my grandkids. After the pan was gone, I told them they were black bean brownies. They had a hard time believing me. Fascinating!!! And I agree - the fiber totally cancels out all the fat! I've made and posted these before, too, (a good year or two ago). They are pretty good. Yours look super fudgy. Interesting! I have to try this. But I am wondering what type of brownie mix you used. If the brownie mix calls for water, oil, and eggs, do I still put in the water? You only use the mix and the black beans. Nothing else.